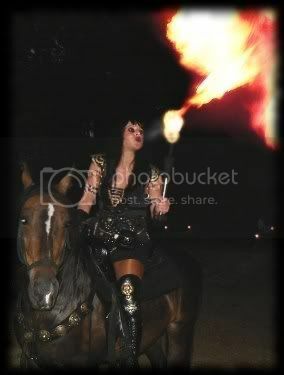 I am Austria's XENA and I made my dreams come true with my own show. 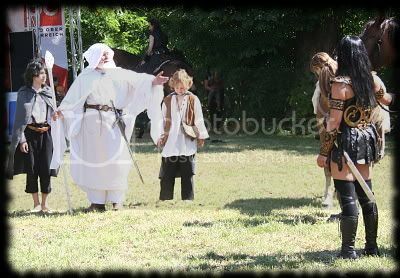 The Event is comparable with a medieval fair and a live action play focused on Fantasy. 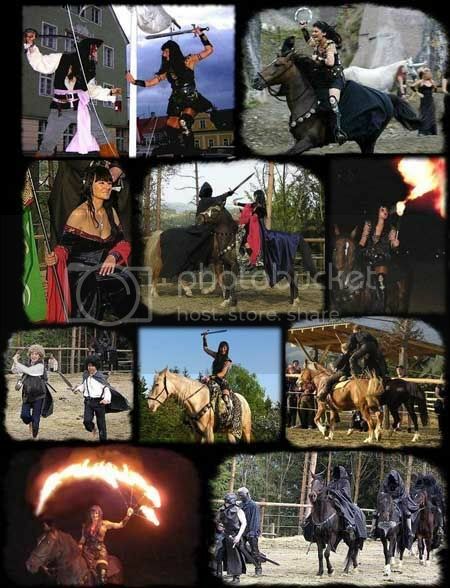 In the centre is an action play with a plot, when required with many horses, swordsfight and pyrotechnics. Every child dreams to enter the fantastic world of myth and legends and meet live ancient heroes, wild amazones, pirates, warriors, elves, unicorns and magicians. Beloved characters of the fantasy genre like XENA- Warrior Princess, Gandalf, Captain Jack Sparrow & co. are convincingly aroused to life. 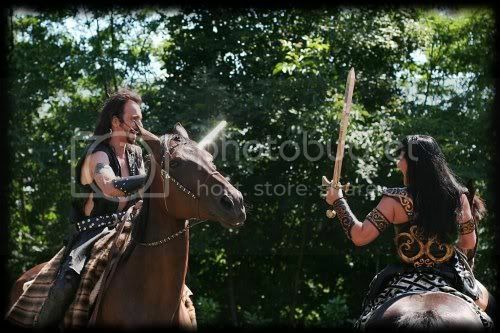 The actual Open Air Show XENA’S ADVENTURES IN MIDDLE EARTH with horses is an entertaining crossover of Xena and Lord of the Rings with a shot Pirates of the Caribbean. The actual indoor adapted XENA PIRATE FANTASY SHOW without horses is a smashing crossover of Xena and Pirates of the Caribbean. known from the TV series Veronica Mars. 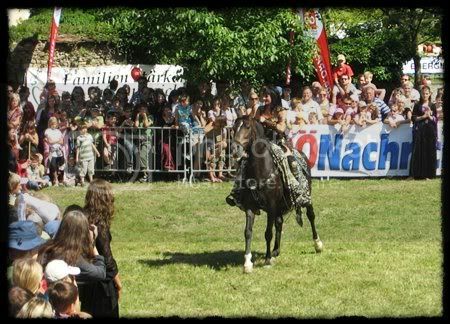 According to your individual requirements you can choose between a four persons show act, an eight persons show (Indoor adapted without horses) or a big Action Show with many horses, pyrotechnics and extras. WHY JACK SPARROW, GANDALF, UNICORNS & OTHER NON TV-XENA-CHARACTERS ARE PART OF OUR XENAVERSE? WHY THE XENA LIVE SHOW ACTORS DO NOT LOOK & ACT EXACTLY SAME AS THE ONES ON TV?